Tata Communications, a leading provider of A New World of Communications released a global report called Connected World II, based on the survey it conducted among 9,417 internet users across six emerging and developed countries France, Germany, India (2,117), Singapore, the US, and the UK in order to have a better understanding of how users engage and connect with the Internet today. According to the survey, 82% of the Indians admit to the fear of missing out when not connected to the internet, which in a way indicated towards the growing importance of internet in the country. 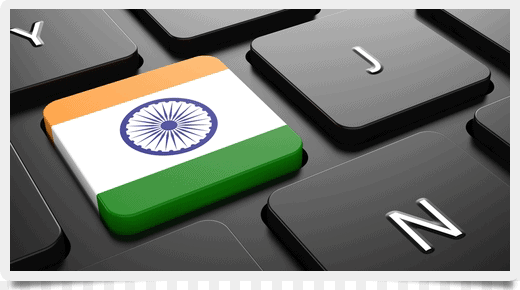 In fact, as per the report, 46% of users in India spend 6 hours or more a day actively using the internet. “In India, not only did 46% of respondents spend 6 hours or more a day actively using the internet (in comparison to 29% globally), but an alarming 82% of respondents admit to the ‘fear of missing out’ (FOMO) when not connected (the highest globally),” Tata Communications said in its ‘Connected World II’ report. It was also found during the survey that more than half of Indian internet users (56%) can’t survive more than five hours without internet connectivity, as revealed by them. “Although surveyed Indian men spend more time on the internet than surveyed Indian women, it is Indian women (21%) who outdo men (16%) in feeling anxious or lost when not connected to the internet,” it said. Although India still comes after the US when it comes to the number of smartphone users in the country, but the numbers are higher in the country when it comes to the people replacing television with tablets and smartphones as the preferred screen. With 43% Indians willing to give up television for the internet, the percentage is almost double in comparison of Americans (17%) and Europeans (22%) respondents. “The internet has truly changed the way we function. As technologies evolve and adapt, there is a huge potential for the internet to affect different aspects of life, economy and society,” Tata Communications’s Nextgen Business chief marketing officer and CEO Julie Woods-Moss said. Anyway, talking about the impact of the internet on global economies, the report says it’s phenomenal as one third of the world’s population is connected to the internet today i.e. about 2.5 billion people. Moreover, the number of connected devices is expected to rise to 26 billion by 2020. This report released by Tata Communications also revealed that 61% of Indian respondents believe that ‘everyone owns the internet’, compared to 70% globally while 21% exactly indicting that each individual in the country owns their internet, compared to 16% globally. The study also pointed out that Asians are the most ‘internet dependent’ when compared to people in the other parts of the world. Talking about the percentage of people capable of lasting up to 12 hours without internet access, it was less than 50% for India and Singapore, while that for Germany, France, US and UK was 86%, 77%, 75% and 70% respectively.